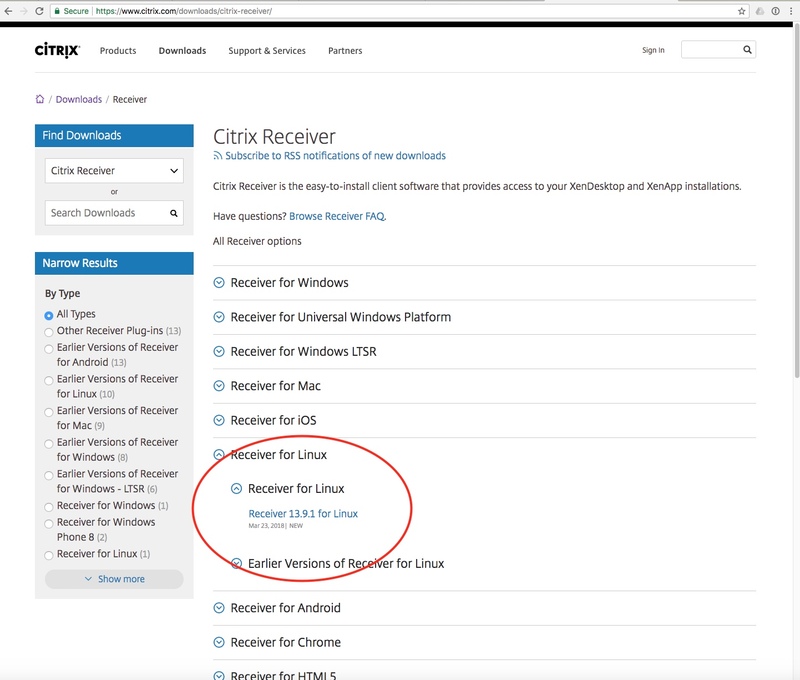 Linux users will need to download the Citrix Receiver from the Citrix website . . .
On the download page, select the files appropriate for your distribution of Linux. For this example, we'll use Ubuntu 16.04, and download the Debian package. 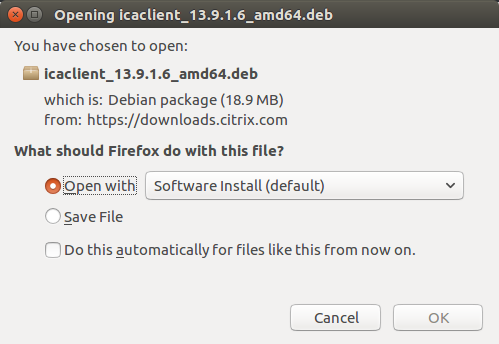 For the Debian package, once it's downloaded, the browser asks if we'd like to open it with the 'Software Install'. Agree to this by clicking 'OK', and in the following window, click the 'Install' button. You may need to authenticate with administrative credentials. 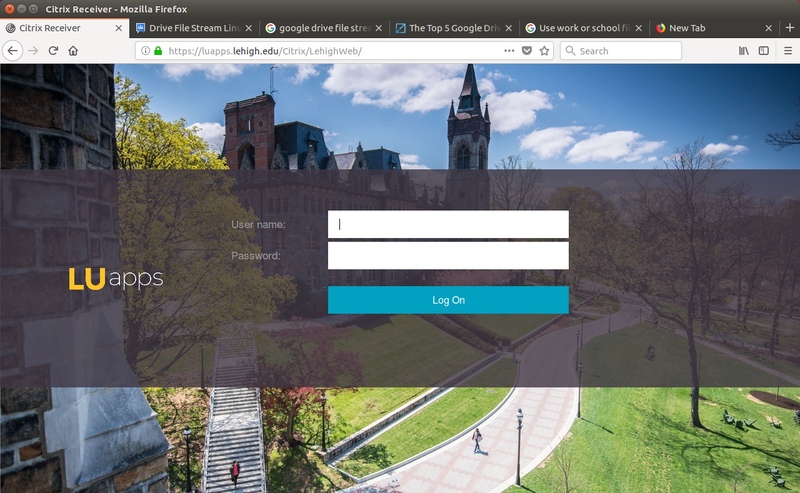 Close the Software Center, and return to your web browser, and navigate to luapps.lehigh.edu. There, sign in with your Lehigh credentials. Once logged in, you should see a menu of applications. 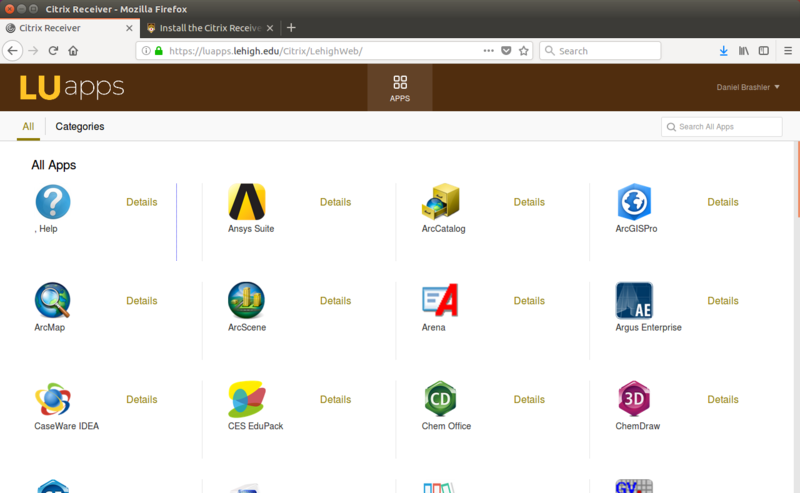 Clicking the icons will start the Citrix receiver, and open the application. 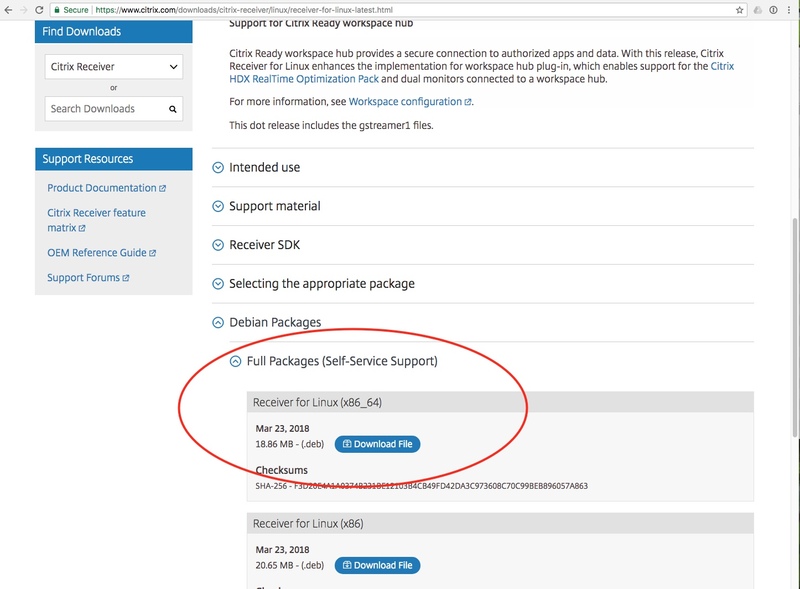 See 'Open and Save files in the Citrix Environment' for information on navigating to your files.